With the premier SKF brand your requirement for high quality bearings are here. 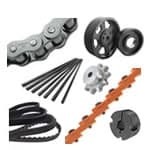 Naturally we supply other quality brands like NACHI, NTN, KOYO, NKE, UBC, FAG, INA, IKO,NIS, TIMKEN etc and have in excess of 35,000 products listed here. 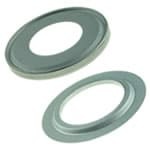 Suppliers of replacement single and double lip / double sealing face and springless oil seals suitable for industrial, motorcycle and general sealing needs for manufactures such as GUFERO, TTO, NTK, NOK PIONEER, HUNGER, SIMMERRING, FOS, MERKEL, SIMRIT, CR, HALLITE, TI GROUP, CHICAGO RAWHIDE, VALQUA, FREUDENBERG, SAKAGAMI, MEILLOR, EDCO, BUSAK, KACO oil seals. An enormous range of over 1500 imperial taper roller bearings and a Massive range of needle rollers bearings, thrust needle and thrust ball bearings as well as loose rollers. 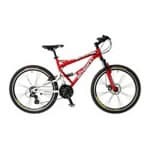 Grade 25 to grade 2000 Loose chrome steel hardened ball bearings sold by the pack in every metric and imperial size, often referred to as chrome steel balls or just hardened steel balls and occasionally referred to as bearing spheres or just metal balls. 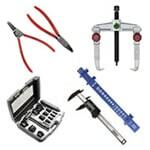 These are suitable as replacements for those used in cycle cranks and head stocks, photographic props and tool and die calibration purposes. Stainless grades are available in AISI 316, AISI 440, AISI 420, AISI 430 and Chrome Steel AISI 51200. 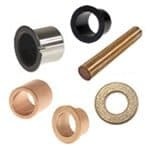 Common motorcycle headset, stem and steering narrow section taper rollers and wheel bearings all from stock plus a massive range of IKO, INA and SKF needle rollers covering most suspension and swing are size bearings. 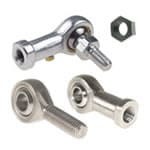 Our complete range of taper roller, needle roller, cylindrical roller, spherical roller, thrust ball and roller bearings, deep groove ball and specialist tiny stainless steel, small and miniature like those used in models are all supplied by major quality brand leaders like SKF, FAG, NKE, NTN, KOYO, IKO, INA, NIS, RHP, TIMKEN, EZO, FAFNIR, STEYR, MCGILL, NICE, KSK, NSK, FLURO, GPZ, DFK, from stock. 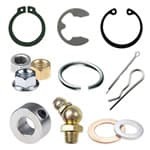 We also stock a full range of Truloc bearing fit and retainer, sealing grade, shaft grade, stud grade and hydraulic sealants as well as instant gasket and joint compounds. The complete SKF general catalogue is listed on our Website in its entirety and it makes an ideal reference point for engineers and designers and includes all the design information and technical detail usually only found in books. 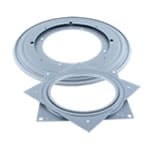 A complete range of cast iron, stainless steel and thermo plastic housed and assembled bearing units are available to buy online and are shown in full detail with schematic drawings for reference. 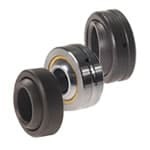 We stock the entire range of single and double row radial deep groove ball bearings in both metric and imperial sizes from miniature sizes upwards to 600mm bore, metal shielded, rubber sealed and the open type in carbon steel (normal bearing steel) and high grade stainless steel from both SKF and European sources. 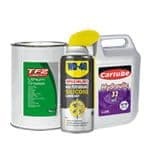 All available to buy online with our secure shopping cart by credit or debit card or using your PayPal account. Simply Bearings Ltd are approved distributors of Goodyear v-belts and associated power transmission equipment. We carry in the region of £1/2 million (GBP) of Goodyear belts in stock ready for same day dispatch. We can also supplier major brands such as SKF, Megadyne, Continental, Dunlop, PIX, Fenner, OptiBelt and other major branded belts. The ranges of belts we carry in stock are: A Section, B Section, C Section, D Section, Z Section, AX Section, BX Section and SPBX Sections all from stock and available to buy online today. All our belt listings display the outside diameter in both inches and mm and cross sections are all quoted in metric equivalents, along with other useful information and guidance on how fitting and installation of v-belts should be carried out. We will always supply a high quality replacement V Belt for all your automotive, home project machinery and industrial / plant belt needs. 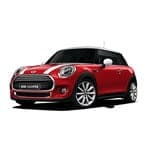 Common applications for the metric and imperial bearings we sell are, car, motorcycle, model plane, boats and cars, engines, gearboxes, transmission, alternators, agricultural, industrial and printing / packaging industries. 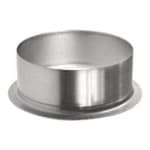 Our range of self lube pillow block housed bearings covers both metric and imperial sizes in all styles in stainless steel, cast iron and thermo plastic, we also carry the full range of replacement inserts for these. Daily postal and carrier parcel distribution to Avon Bedfordshire Berkshire Borders Buckinghamshire Cambridgeshire Central Cheshire Cleveland Clwyd Cornwall CountyAntrim County Armagh County Down County Fermanagh County Londonderry County Tyrone Cumbria Derbyshire Devon Dorset Dumfries and Galloway Durham Dyfed East Sussex Essex Fife Gloucestershire Grampian Greater Manchester Gwent Gwynedd County Hampshire Herefordshire Hertfordshire Highlands and Islands Humberside Isle of Wight Kent Lancashire Leicestershire Lincolnshire Lothian Merseyside MidGlamorgan Norfolk North Yorkshire Northamptonshire Northumberland Nottinghamshire Oxfordshire Powys Rutland Shropshire Somerset South Glamorgan South Yorkshire Staffordshire Strathclyde Suffolk Surrey Tayside Tyne and Wear Warwickshire West Glamorgan West Midlands West Sussex West Yorkshire Wiltshire Worcestershire Aberdeen Armagh Bangor Bath Belfast Birmingham Bradford Brighton and Hove Bristol Cambridge Canterbury Cardiff Carlisle Chester Chichester City of London Coventry Derby Dundee Durham Edinburgh Ely Exeter Glasgow Gloucester Hereford Inverness Kingston upon Hull Lancaster Leeds Leicester Lichfield Lincoln Lisburn Liverpool Londonderry Manchester Newcastle upon Tyne Newport Newry Norwich Nottingham Oxford Peterborough Plymouth Portsmouth Preston Ripon Salford Salisbury Sheffield Southampton St Albans St Davids Stirling Stoke-on-Trent Sunderland Swansea Truro Wakefield Wales Wells Westminster Winchester Wolverhampton Worcester York and all London boroughs.